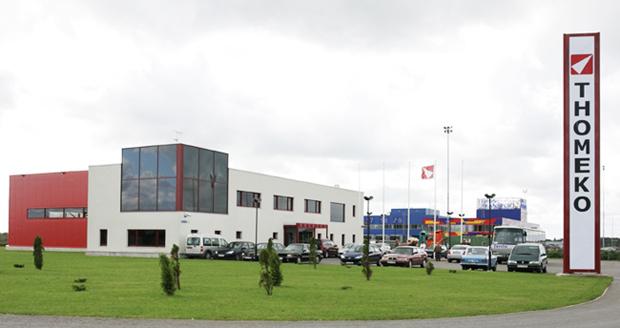 Thomeko Eesti OÜ is one of the biggest cooperation partners in food processing and packing industry in Estonia. The product range of Thomeko Eesti OÜ includes machinery, equipment and materials. In addition, we offer installation and maintenance service. Close cooperation with us starting from the planning of equipment to installation guarantees the success of your project. Our strong position in different product groups is based on our reliability, knowing our field and primarily understanding the clients’ processes and needs. In cooperating with us, the clients can focus on their main activity – production. Thomeko Eesti OÜ started its operation in 1993 and it is the subsidiary of Thomeko OY, which was established in Finland in 1949. Thomeko OY is the market leader in Finland. Since September 2006, we belong to DAT-Schaub Group. DAT-Schaub is one of the leading processors and suppliers of natural casings in the world.